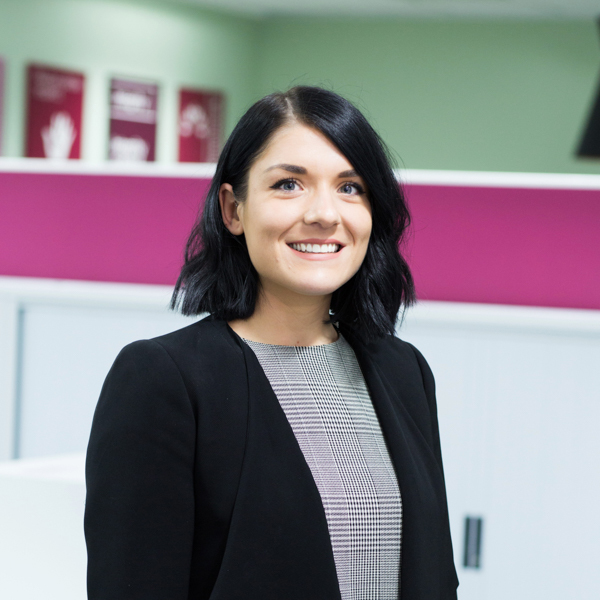 Amy is a Solicitor at CFG Law, having joined the firm in 2014. She shows real passion in her work and always goes above and beyond to make a difference in her clients’ lives. Amy always strives to understand exactly what is it her clients need and fights for justice for them with a determination that scares even us! She combines a hard-working attitude and caring personality to truly get the most out of the litigation process. Amy helps to look after some of our most seriously injured clients with her compassionate nature, extreme efficiency and a friendly smile to boot. A cheerful presence to have around, Amy is a fantastic addition to the team. Listening to clients and understanding their needs and how best to help them through the process. Building rapport with clients to make them feel comfortable talking about their problems. Working as a team to progress cases in the best possible way for clients. Making a genuine difference to peoples’ lives and helping them through what can be a very traumatic and stressful time in their lives. Building a connection with clients. Being surrounded by like-minded colleagues who truly want to help. Finding support for clients with life-changing injuries to help them to get back to the things they love (for example aids and equipment and assistive technology). Diagnosis, treatment and rehabilitation following brain injuries. “I am very pleased with the way that Amy handled my case. She was always very pleasant when we spoke on the phone and willing to do everything to help me.” S.R. “Amy was excellent in keeping me up to date.” M.B. “I could not have got through my ordeal if not for my excellent solicitor. I cannot thank her enough.” M.M.